From the left-hand “Explorer” menu, select “Logical Devices”; from the “Storage Systems –> LDEVs” window, select the LU (LDEV) you wish to resize. 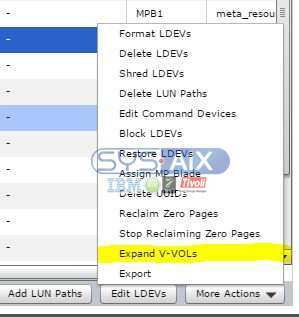 Click on the LDEV (LUN) and then click on “More Actions –> Expand V-VOLs” in the bottom right-hand corner, as shown below. Enter the desired total size of the LUN (LDEV). That is you specify the final size of the LUN and not by how much to increment it. The “Expand V-VOL” operation may take a few minutes, depending on the size of the LUN. 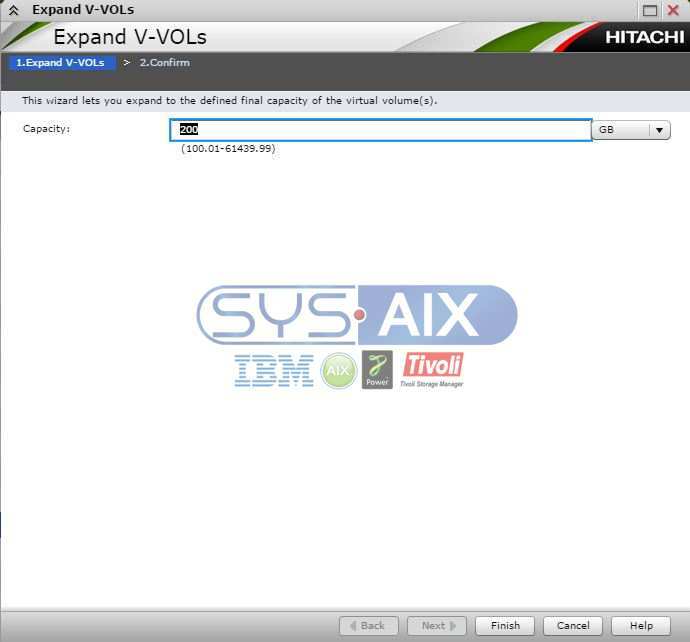 You shoul use the Task Monitor to keep an eye on the progress of the resize operation.